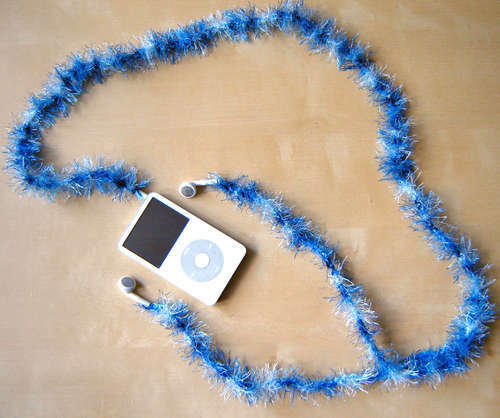 Can you tell that I hope Santa brings me earphone covers for Christmas. 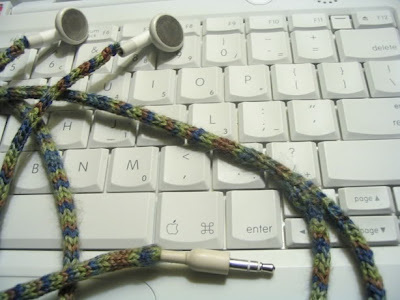 I found a knitted earphone cover over at Craftser and a crochet earphone cover over at Instuctivles. But since I can't knit or crochet I will have to stick with either the friendship bracelet earphones or, my favorite, the beaded earphones.